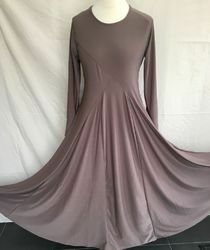 We are a leading Exporter of printed nida abaya, plain nida abaya, ladies nida abaya, nida abaya, designer nida abaya and umbrella nida abaya from Surat, India. We are offering the highest quality of Printed Nida Abaya to our customers.It has magenta bell sleeve with black laced and is a front-open abaya. 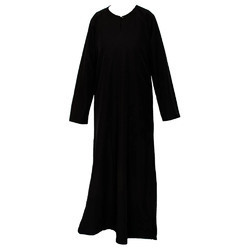 We are engaged in providing a wide assortment of Ladies Nida Abaya to our customers. We are one of the trusted companies of Nida Abaya. Our products are enormously admired in the market owing to their top features. We are offering an excellent quality of Designer Nida Abaya to our customers. We are offering a wide range of Umbrella Nida Abaya to our customers. 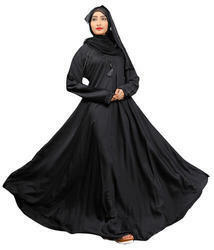 We are offering the highest quality of Black Nida Abaya Fabric to our customers.